Beautiful and brightly colored, we were so excited to get this amazing new Solar Pinwheel Wind Spinner on the site! 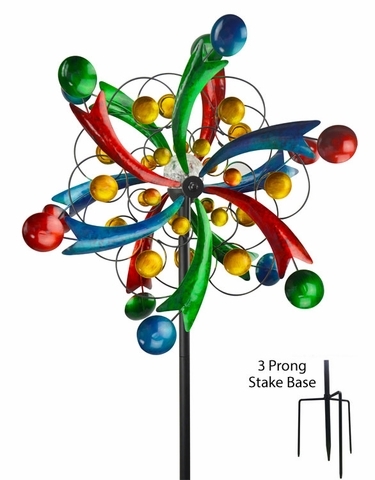 This gorgeous wind spinner features all metal construction, dual spinning motion, sealed bearings, multi-pronged mounting stake, crackled glass ball with an LED light that rotates Red, Blue, Green in color, and a strong powder coat finish for extra durability. It's absolutely gorgeous and you'll love it!